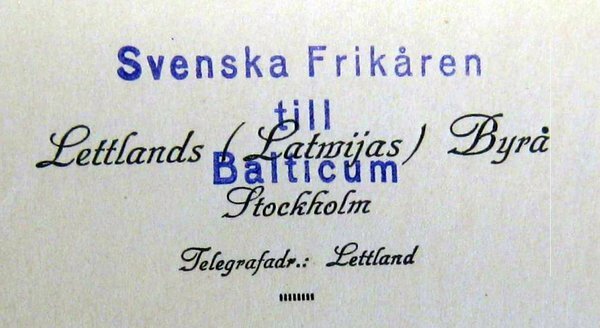 I have been interested in the Swedish participation in the Baltic wars of independence and on the Petrograd front of the Russian Civil War (1918-1920) for a number of years now, and I am presently working on a book on the subject. While presenting a case study, I am also going to engage with the broader issue of 'neutral interventionism' and how the perceptions of regional closeness between Baltic provinces/Baltic states and Scandinavia informed these initiatives in various ways. The outputs this far include several journal articles and a translation of the memoirs of a Swedish volunteer. Franchi sõbrad ja mõrvarid: Einar Lundborgi mälestused teenistusest Rootsi Korpuses, Akadeemia 8, pp. 1493−1499. Eesti vabadussõja vabatahtlike värbamine Rootsis –Õpetatud Eesti Seltsi Aastaraamat 2013. Tartu: Õpetatud Eesti Selts, 2014, pp. 191-209. Kaks majorit kahel pool Läänemerd. Väljaöeldu ja väljamõeldu Carl Axel Mothanderi romaanis „President“, Akadeemia, 2, 2014, pp. 235-269.